Get out your scarves and sweaters, because it’s getting colder outside! We are just as excited for Fall as you are! So many fun holidays are coming up and we are excited to celebrate them with all of you! 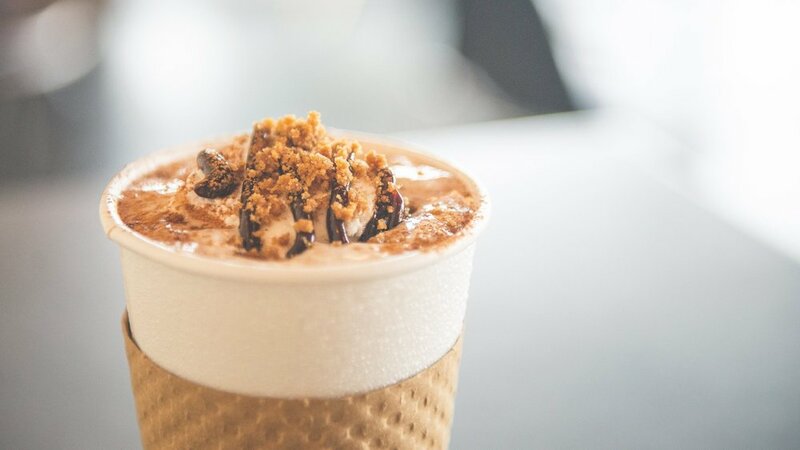 One of the best parts of this time of year are the warm drinks you get to carry around with you to keep you nice and warm in the brisk Fall breeze. Morty’s Cafe makes wonderful cups of hot cocoa that are made to take fun Fall pictures of. They taste good too! So, stay warm and swing by to grab a cup of hot chocolate before you head to work or school. Also, check out this season’s burger! It’s to DIE for. 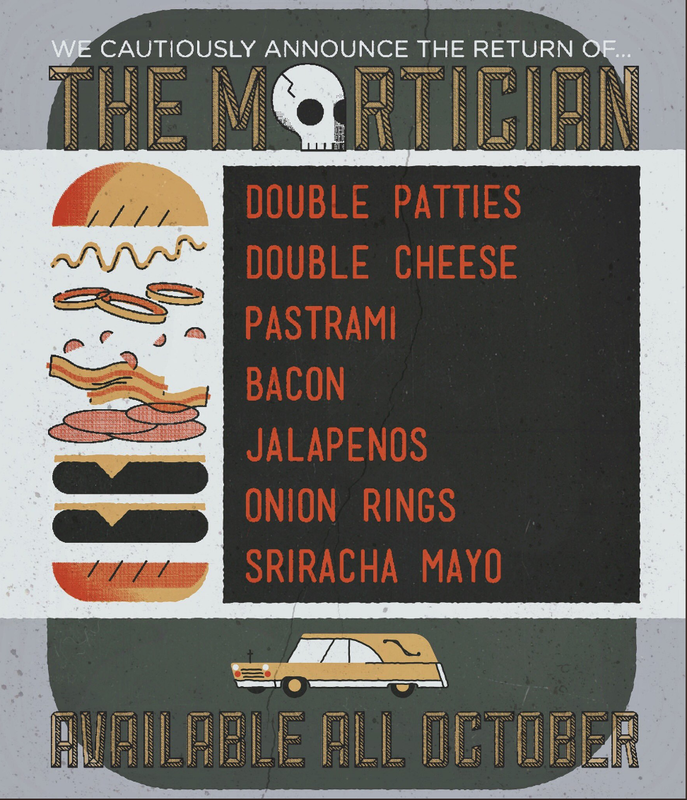 The Mortician is built with several delicious ingredients. Watch the chilling video about this delicious burger. It will get you excited for Halloween! Ingest in peace.